Paper Crafts by Candace: Happy Bird-day! Happy Wednesday! Today is my day over at SVG Cutting Files and I have an adorable new cut to share with you! This cute bird is NEW from SVG Cutting Files and will be in the store starting Friday! 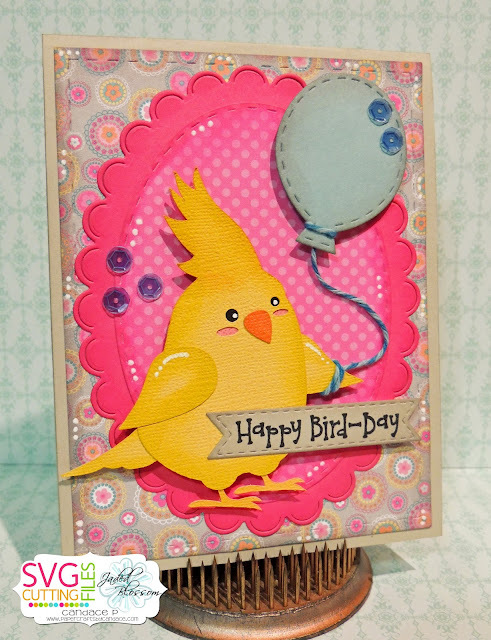 From Jaded Blossom I used mini tag dies, Birds of a Feather, Birthday Dies, Scallop Oval Dies, Stitched Oval Dies, and Card Mat Dies. I love it!!!!! Super cute!